Welcome to LilacsNDreams! Today is about that good old saying we all know only so well "It takes money to make money"
Your business start up account can be a stressful thing when starting your business. Many of us pull from our own personal accounts to do so. In doing this we have the feel of guilt, and not to mention the worries too. You will often ask yourself if you are doing the right thing, is this business worth it, am I being selfish using this money because I am doing what I want to do, and so on. Often we will ask ourselves if we are plan for our futures. Many of us will answer with a yes! With this thought we have personal goals, we have dreams, and we plan ahead too. How many of us actual visualize, and focus with our business future? There had been article with an inspiring question of "if you were given $20,000 to invest with your business, what would you do with this?" Wow! How does one start with a list of things. It would help to think long-term. It helps to have a detailed picture of what you want your business to become one day. Savings doesn't just happen for people. It comes to those with careful planning, and with some budgeting too. Sit down, and spend some time with the thought of what you would do with a $20,000 investment. You will find it will be a list of not only what the wants are, but what you are needing for your business to grow and expand. Once you have your list prioritize it. You know which item do you need first, second, third, and so on. Since income can be unpredictable you might find yourself holding back with your goal setting. In order to better help you consider "what if you had $20,000 to invest, and a guaranteed salary of maybe $50,000" That might open the doors, and clear away some fear and hesitation with your thinking. Redesign a website, find a substantial location to house inventory, maybe use same location for shipping from, and notice how your thinking starts to change right? When you look back over some of your ideas you might also realize that some of them are doable within your current situation now too. It is important for you to think past your current limitations. By doing this you can open up your plans for the future. There are plenty of ways to get some money if you wanted to. Getting a personal loan, maybe take out a small business loan, and there is Kabbage which is a lending service to specifically fund small businesses. For Kabbage you have to have a proven income of $1000 a month to be approved. "There's plenty of money out there. There print more every day. But this ticket-There are only 5 of them in the whole world, and that's all there's ever going to be. Only a dummy would give this up for for something as common as money. Are you a dummy?" This makes you think about business, and how often times we hesitate to invest in ourselves. Money is considered common, and the chance of creating something out of nothing and building your own career. Well, there is nothing common about that. This series regarding business will soon be over with. Remember to visit with Lisa a Market Your Creativity. There she shares things in full, and shares experiences she has had along with things she has learned to help her. As some of you may have noticed my posts are just a bit off of schedule, and I deeply apologize for that. I want to note to all of you that I am dealing with an internet issue. 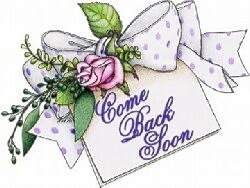 Hopefully it will be resolved in full soon so that I can get back to things fully. Having my posts here for you all to visit at LilacsNDreams, and to get back to work fully with my listings in my shops with Etsy, Ecrater, and over at Ebay too. 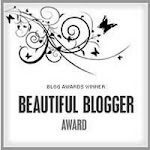 Links for those can be found on the right column that you can just click. 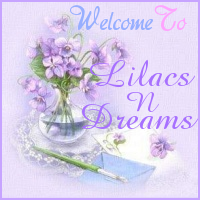 Thanks so much for sharing time with LilacsNDreams! I wish you all a wonderful day with all you do. See you again soon! Really great and appreciated post, you mention every point with fully detail. 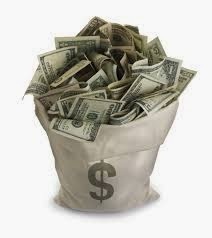 We read your whole post and got some amazing ideas, keep sharing such an interesting Earn Money ways! Thanks so much for visiting, and sharing your thoughts with me! I appreciate that, and am happy to hear you enjoying this as well. This is a great article, very informative. I am interested to know about these Bad credit personal loans guaranteed approval 5000,hoping to succeed and avail personal loans.Good learning, thank you.